Taylor Swift and Tim Tebow: Spotted at Dinner!!! by Celebrity News and Gossip, Celebrity Fashion Guide, Celebrity Beauty tips, Celebrity Hairstyles 2013, Celebrity Style 2013 and more! Taylor Swift and Tim Tebow: Spotted at Dinner!!! This pairing almost makes too much sense, doesn’t it? Witnesses tell The New York Post that Tim Tebow and Taylor Swift struck up a conversation at a pre-Academy Awards party on Friday night, following it up with dinner two evenings later at at Toscanova Italian restaurant in Century City. Granted, the meal doesn’t sound too romantic, but Taylor has been burned by so many men in her past. 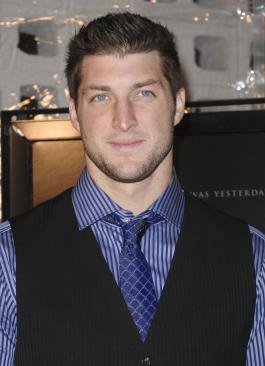 Tebow is a virgin, had the good sense to reject Kim Kardashian and might be the son of God. This couple has to happen.